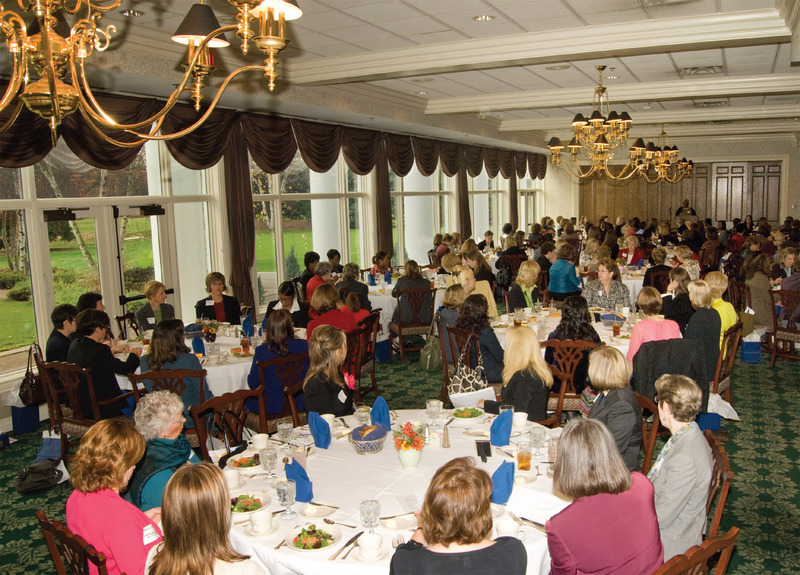 What is ATHENA Women’s Leadership Day? • An event for established women leaders to meet and coach emerging women leaders. • An established woman leader invites an emerging woman leader to join her for lunch (or breakfast, tea, or other gathering); she purchases a “ticket for 2”. • For example: 25 established women leaders may invite 25 emerging women leaders -- or more, providing an opportunity for established women leaders to introduce their guest to other women leaders. • The program is a 45 minute facilitated conversation about leadership development and mentoring opportunities. · You can begin to bring the celebration to your community and encourage women leaders, both emerging and experienced, to come together to discuss their experiences with leadership and develop their leadership skills. This program may be available to license for your community. · Once the $1,000 license fee is received by ATHENA International, a handbook and all program materials are provided for this turn-key event. Through sharing experiences and building connections, women in leadership roles find this experience valuable, no matter if they are already an experienced woman leader or an emerging woman leader, the community overall is improved. Who should be the Host Organization? The host committee selects a charitable fund to donate the proceeds from the ATHENA Women’s Leadership Day event. In Akron the proceeds were donated to the Judith A. Resnik Scholarship Fund, an affiliate of the Akron Community Foundation (ACF), a qualified 501(c)(3) organization. Judith Resnick was a woman astronaut who was aboard the Challenger in 1986. The scholarship is awarded each year to a woman studying math and/or science at a four-year college or university. Q. We host an ATHENA Award celebration with scholarships in August and were thinking about doing both at the same time. Would this work? A. We only offer this event as a stand-alone program. The significance of the lunch is it’s focus on helping emerging leaders make valuable connections. Q. We were thinking about hosting a panel discussion for the lunch program. Would you recommend that? A. We do not recommend a presentation longer than 4 minutes. The real program is the table discussion about leadership between the established and emerging women leaders. A 4 minute keynote welcome works quite well. Q. How long does it take to plan and offer this event? A. We have developed a detailed checklist and schedule to make the event easy to implement. This event has been successfully planned by a community in 45 days or fewer. ATHENA International provides all the templates you need, including the printed program template, so there’s no need to create or develop materials. 90 days is a comfortable planning period. Q. Our community already pays for a license for the ATHENA Award Program. Do we need to secure and pay another license? A. Yes. The two events and programs are separate. This event was designed specifically to connect established and emerging women leaders. Note the next question and answer. This license lets you offer programming all year long – if the events connect established women leaders with emerging women leaders. Starting with the luncheon and then offering quarterly receptions, after-hours or forums keeps the connections and mentoring going. Q. What is included in the ATHENA Women’s Leadership Day license? • Rights to continue offering events during the year as long as they are based on connecting established and emerging women leaders for the purpose of leadership development and mentoring opportunities. • Recognition in your community for women’s leadership development and mentoring opportunities. Q. Who may offer this program? A. The program license is available to any organization or group of individuals wishing to host it. We are finding that a group of recipients, or other women leaders, decide to offer the event in their city. They might approach a local women’s organization to be the host and handle the license and the revenue for the event. Or they handle those steps themselves. Then they approach sponsors-license sponsors to provide the $1,000 for the annual license. They recruit a committee and plan the event in 30 – 45 days. Q. How do we get started? A. Simply contact Athena International Headquarters via email to Emily Harris at eharris@athenainternational.org to request license information. A comprehensive program kit will be available upon receipt of your license payment. Q. What about when an established woman leader wants to invite more emerging women leaders? A. Price your tickets to purchase 2, 3, 4 or 5. Then she can bring several emerging women leaders as he guest. But no tickets for one. Q. Last year we had a woman say that she could not find an emerging woman leader to bring. How do you handle that? A. We have offered to find an emerging woman leader who would like very much to attend but has not been invited; we match them. “This historic event is an opportunity to help future leaders with connections, support and mentoring. It is your way to help the future women leaders in your community. Just think how powerful this event will be with a room full of women, one-half established leaders and the other half emerging leaders”.